Lets start with the books. 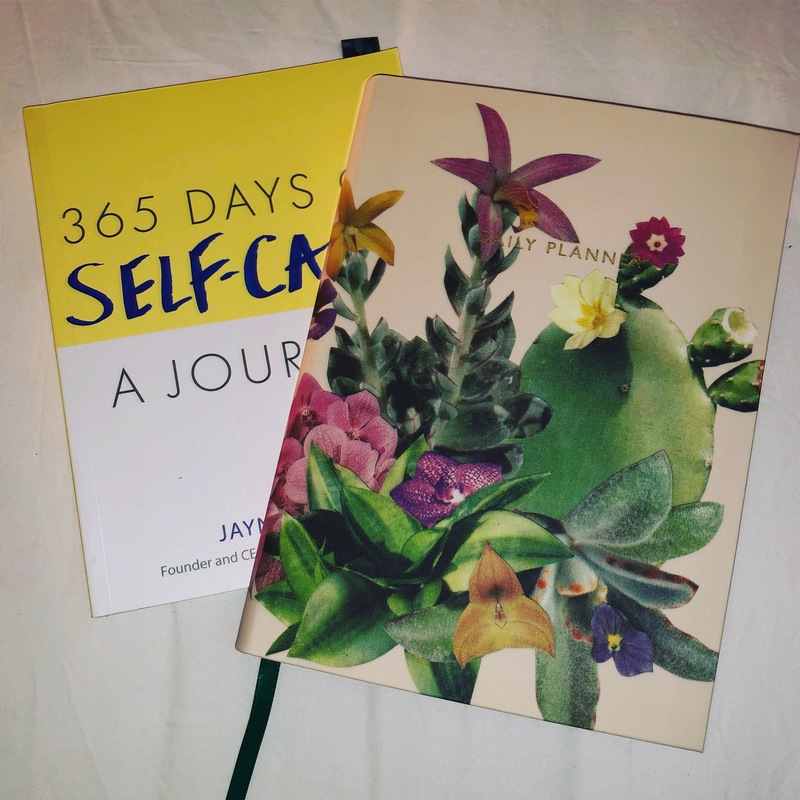 *My 365 days of Self-Care A Journal has started to talk about the don’ts in my life. It’s actually hard to think of good don’ts you don’t want to do. I had to write a list of them. I actually have 2 spare lines still to fill in but I can’t trigger my brain to think of any. What sort of things don’t you want in your life? Right now I can’t deal with any negativity. I don’t know why but as I massively try to think and stay positive it’s something I have to avoid. So any negativity is walked away from or turned off right now. That also could be because I am not feeling the best so having the extra negativity really just isn’t helping. Especially if I am sitting trying to stay upbeat whilst heartburn is burping out 24/7. I guess that leads me onto having a disease that’s definitely a don’t I don’t want for the rest of my life. But trying to keep upbeat and positive I have to stay having the best people and support around really does help. Also having a team of doctors and nurses who want to help really does help me. I want to be able to eat whatever I want and not gain any weight but who doesn’t right? Aren’t we all jealous of those stick thin people who can eat their weight in fast food or junk and still be a size 6. I just guess I should be happy that I am a size 10 now compared to a size 14/16 before I went on the diet about 5 years ago. I am also being more creative with my journal not just grabbing the blue Bic biro and filling in the information but picking a colour that expresses how my day went. Using colour definitely helps with the mood and will put a smile on your face when you look back. 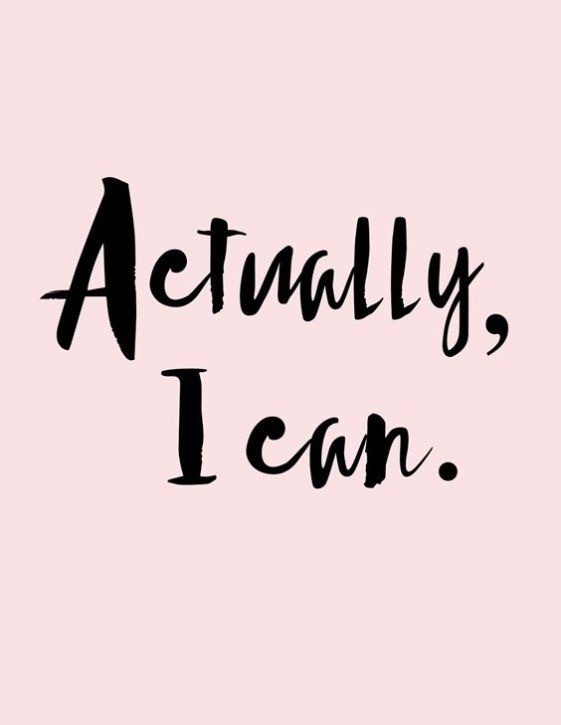 Believing in myself is something I really have tried this week. 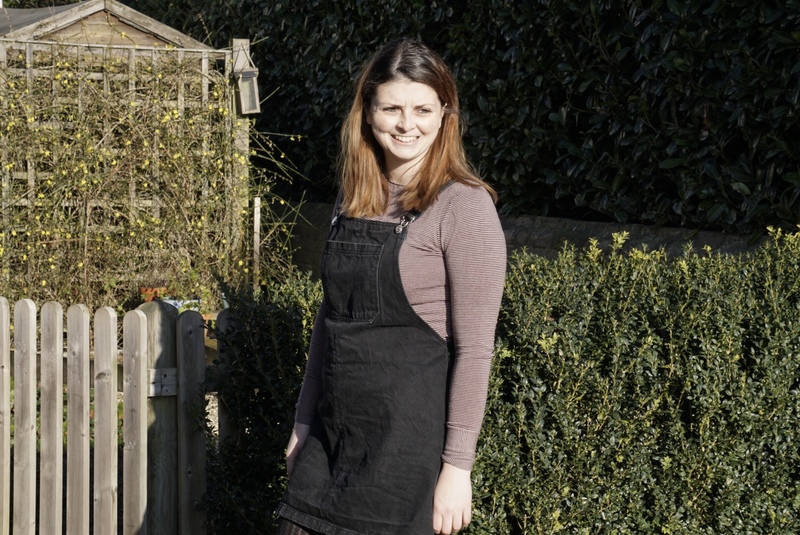 I guess turning my negative thinking into a positive is making me think more ‘actually I can.’ This is probably why my self care routine went out the window a bit this week when Tuesday night I wanted to watch Holby City followed by The Sewing Bee. Meaning no unwind and read a book time. Wednesday night I went out for a drink with a friend, we went at 5:45pm and didn’t get home to 11:30pm. You can laugh at me but its a school night and I need my sleep. Never the less we had a really good time and plans are looking good to be happening again this week. My sleep can wait if I enjoy the company, the drink and the chat. 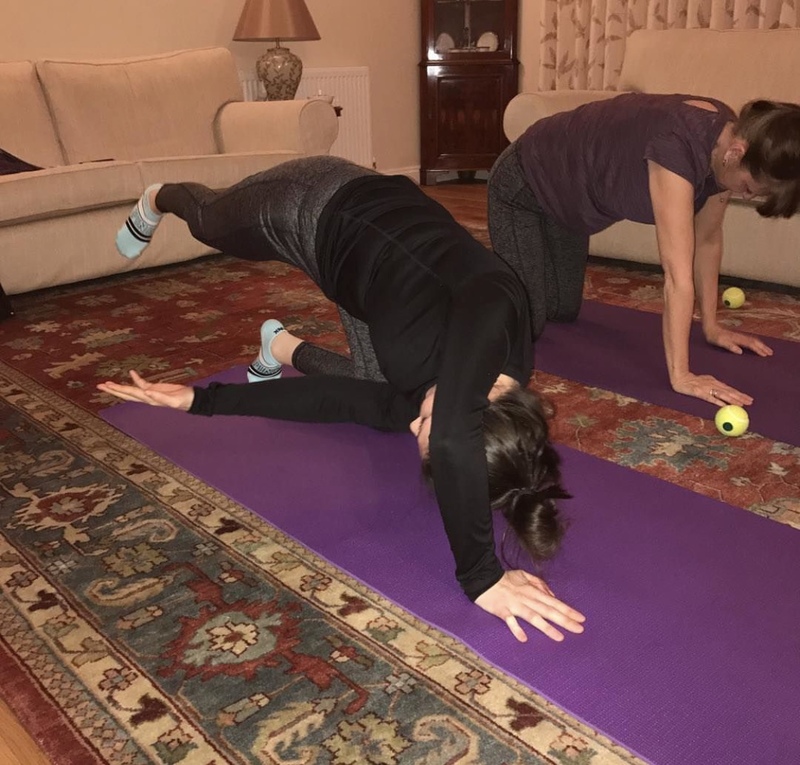 Thursday was Pilates, something I really enjoy but of course due to my late night Wednesday I really wished I was at home in bed having the chilled early night I needed. It felt like I was hung over but I wasn’t or couldn’t have been of a raspberry lemonade. Needless to say I can’t beat a non alcoholic hangover with a session of Pilates so on went my glasses and I concurred the session to my best ability that day. I wouldn’t have changed Wednesday night for Thursday or any other day to be honest because it was the best night I’ve had in a while and puts a smile on my face even now typing this. Friday I worked then went to see my Grandad. He moves into a home today as he has dementia. Though this is really sad and makes me emotional, he really will have the best care and entertainment in the home. We still all love him and would do anything for him but he needs this to live the rest of his life to his best. Of course it’s not going to stop us going to see him. It’s just a massive change and something that we all need to learn to realise its the best decision for him. All I see on social media is when llamas and horses have gone into old people’s homes to entertain and cheer them up. How cute! So we went to see him, he was happy at home with Grandma and my sisters and I went to visit. We laughed and smiled and talked to Grandad. I really try to keep it normal with my Grandad and go along with him if he thinks he’s been to work or whatever. Needless to say my sister brought 3 cream eggs, for us. She was happy when I said I don’t like them but I don’t remember seeing her or my other sister eating them so did she have all 3? By now you must be thinking but Mel why was this a long week? Well it just felt so long I was busy at work, I cooked and ate well, it just seemed to drag in places. It’s also been a week of showers because I have been here there and everywhere this week. 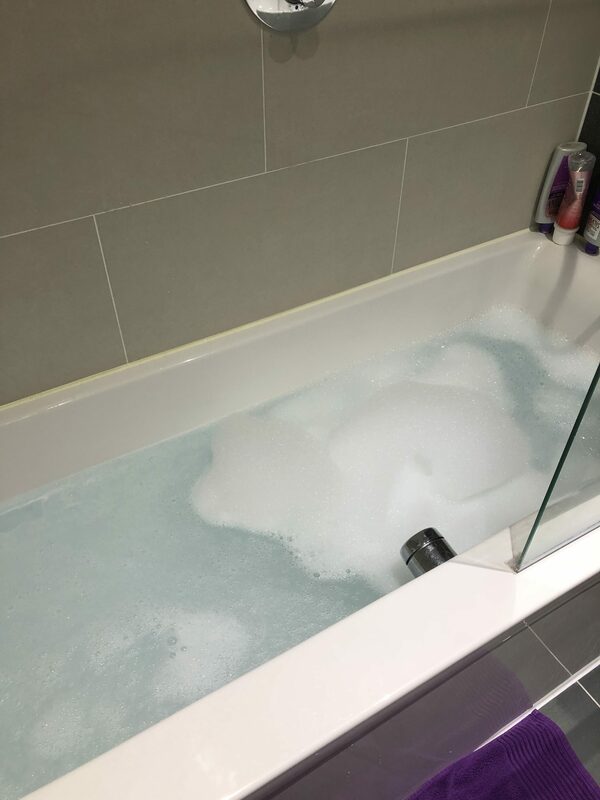 I miss have a long hot bubble bath and I can’t wait to run one tonight and just relax for ages. Though I can’t complain, least a shower means I am clean. I don’t know if it’s from not having a bath, wearing different pyjamas or the weather, but I have been really cold this week. I was super glad for pyjama change yesterday and put my winter ones back on. Meaning two onesies and fluffy socks. Saturday I really shouldn’t have but I booked my dentist check up for 9am and really that’s way too early when you needed a lay in on Tuesday and four days later your desperate for one. I hate the dentist I don’t know why but I really do. In fact when I vlog especially close up I hate how my teeth are. We talked about braces maybe. I had chipped my front tooth ever so slightly. It feels so nice to be smooth and soft again. Saturday I had lots I wanted to do, but being that the weather was rubbish it lacked the ability to go take new instagram feed photos, which I really need doing. The parcels didn’t come so It meant I couldn’t film a certain video so switching them round instead. We went for a little look round John Lewis and the shopping centre. Just for something to do really. I needed a new face cream and wanted to try a new brand. Ended up with a joules top, face cream, couple of masks, 2 pairs of tights and a bag off sweets. Oh and my weekly food shop. Don’t worry its only 6 months until my next dentist check up so I can treat myself with a sweet or two for this week at least! We stopped a Pizza Express for lunch, well I haven’t been in a Pizza Express for a good few years now but I would have to say I had the best gluten free pizza I have ever had. Ok I swapped olives to extra tomato passata. Gluten free pizzas are normally super dry. But I would definitely go eat there again its was delicious. We then went back to my parents and started to bake for my first Crafternoon tea that is taking place on Friday. Exciting times but also nervous to be hosting my first party. I am good at crafts though and with children so I should be ok. This week has really shown me who is really here for me, who texts me to check I had a good day, who come to my desk and chat, who offers me sweets when I fancy a treat, who comes to my desk as they want a cigarette, so I go with them, just for fresh air and a break. I really appreciate them who put a smile on my face, who show me that I am really the nice, kind and good to hang around with person. Who take me for who I am and love me for that reason. The ones that don’t drag me down, instead they pull me up and push my positivity. The ones who make me laugh. Though this seems like a completely different person from the last 9, just look how 10 weeks can effect that one person so differently. Ok I am tired but that is a natural thing for me anyway. Self care isn’t just the staying in, the bubble baths and the reading. Its being able to do what you want to do. This week just happened to be one I went out a lot in, I laughed a lot, smiled a lot, I socialized and stayed upbeat. But I did the boring self care too like go to the dentist. Just remind me not to go for the 9am appointment again in 6 months time please! 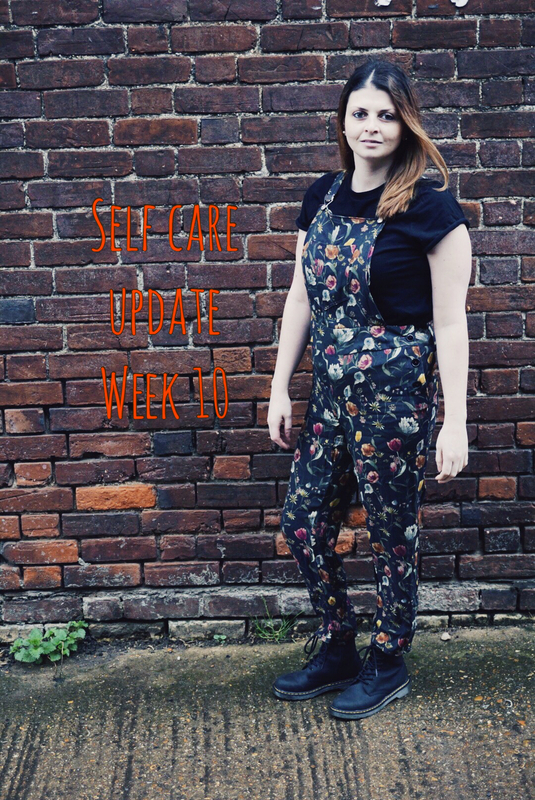 Was your week a week of socializing or was yours a week of chilled evenings and me time? What self care topic have you practiced that maybe different to usual? Or is there something you’d like to try but just not got round to it yet?